U.S. companies didn't do much hiring in April. Only 160,000 jobs were added last month, according to the Labor Department's latest report. Economists surveyed by CNNMoney had predicted 197,000 jobs would be added. Goldman Sachs expected even higher: 240,000. The unemployment rate remained at 5%. It's only one disappointing month after two years of very strong hiring, but concerns are rising that the U.S. economy is losing momentum. Growth is off to a slow start in 2016. 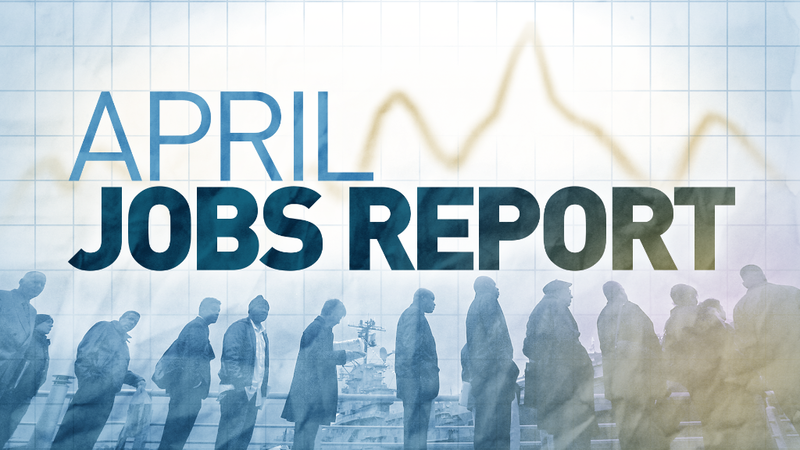 Experts anticipate a spring bounce, but the sluggish April jobs report suggests that pop is either delayed or not going to be that strong. The economy is the No. 1 worry on voter's minds ahead of the presidential election. President Obama is trying to take a "victory lap" for the recovery from the Great Recession, but Republican presidential candidate Donald Trump slams the Obama economy as terrible. Wells Fargo chief economist Sam Bullard believes the economy is still jogging at a "moderate" pace. "I would not to say totally dismiss the report, but the labor market is stronger than that 160,000 figure would suggest," says Bullard. He points to the big jump in hiring in the business and "white collar" jobs in April. It wasn't just low-paying retail jobs on the rise. A lot of Americans have started looking for work again in recent months because they believe there are opportunities out there now. The notable exception is the energy sector. It shed another 7,000 jobs in April. Cheap oil continues to hammer the industry. Since September 2014, there have been 191,000 job losses in the energy and mining sector. Wall Street and Main Street have also been watching wages. Workers are frustrated that their pay isn't going up very fast. April actually saw a decent bounce in wages, which grew 2.5% annually. That's still below the 3% to 3.5% that's typical of a healthy U.S. economy, but it's a step up from wage growth in March. "The unfinished business of the recovery is shared prosperity," says U.S. Labor Secretary Tom Perez. "We need to continue to work to lift real wages." The slowdown in hiring in April means there's almost no chance the Federal Reserve will raise interest rates at its next meeting in June. Some now predict the Fed won't until after the 2016 presidential election. "These disappointing numbers greatly reduce the likelihood of the Fed hiking rates this side of the presidential election," says Chris Williamson, chief economist at Markit.